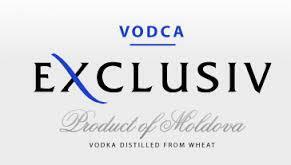 When I first heard about Exclusiv Vodka, I have to be honest...I didn't know what to think. My knowledge of Moldova was lacking to say the least, and although I work with over 80 different vodkas on a daily basis, I had never heard of Exclusiv. It was my good fortune that a bottle was sent to me. After reading about the complex history, and then experiencing the complex flavor profile, I was more then impressed. Although independent since 1991, Moldova was under Russian rule for almost 200 years. Already having such a rich history in vodka, the distillers definitely captured the best of traditional Russian vodka...with a little twist. The winter wheat used in Exclusiv, is the softest of the various types of wheat commonly used. This lends to a more velvety yet clean finish. Although I find wheat vodkas to have a consistent, one note flavor, Exclusiv changed my preconception completely. Alright, so here's what you're waiting for...how does it taste? I think the best way to describe it is that it has a slight sweetness on the top of your tongue with a dissipating spice that finishes in the back of your throat. The flavor fills up your whole mouth and then it rolls as it finishes. Surprisingly, I think most whiskey drinkers, would appreciate its dynamic flavor and earthy spice. It's provocative and, as I have said before, deliciously complex. Tasting this vodka is like tasting a fine wine. How it starts and how it finishes are both surprising and sophisticated.